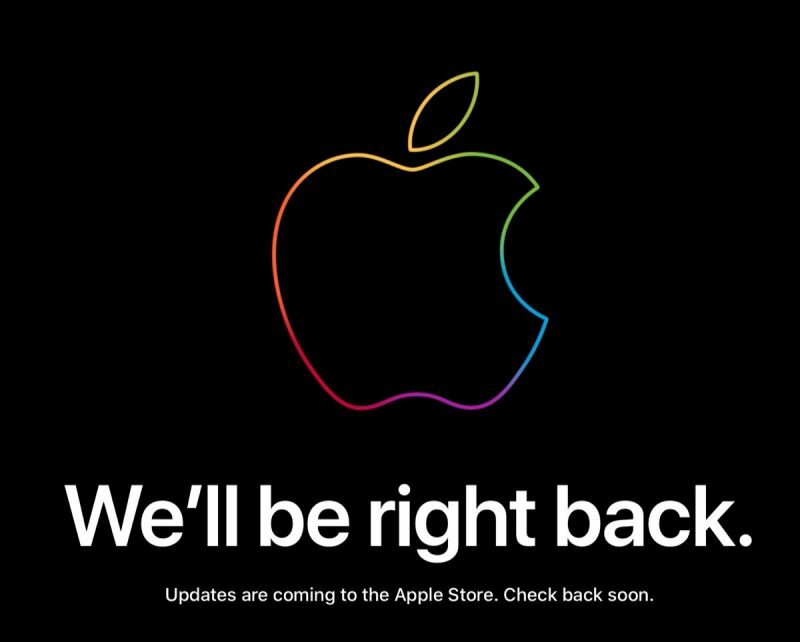 Apple has taken down its online store ahead of today's event in New York, scheduled to begin 10:00 a.m. Eastern Time at the Brooklyn Academy of Music, Howard Gilman Opera House. Apple's October event will focus on products not introduced at the iPhone-centric event in September. On that occasion, Apple failed to take down its sitemap XML leading up to the event, resulting in a raft of major leaks ahead of the keynote. That's not the case this time around. 2018 iPad Pro models are expected to adopt an iPhone X-style design with no Home button, slimmer bezels, and a TrueDepth camera system that will enable Face ID for biometric authentication. We could also see a redesigned Apple Pencil with new gesture and swipe features. Along with new iPad Pro models, we're also expecting refreshes to the MacBook line. Refreshed 12-inch MacBooks are said to be in the works, and according to rumors, Apple has developed a low-cost notebook with a Retina display that could be positioned as an updated MacBook Air. The Mac mini, which has not been updated for 1,475 days, is expected to be refreshed for the first time since 2014. We don't know a lot about what to expect for the Mac mini update, but upgraded internals and faster processors are certain. Apple typically streams the event live on its website and on Apple TV, but for those who are unable to watch, MacRumors will be providing full event coverage both on MacRumors.com and through our MacRumorsLive Twitter account. Readers who can't follow the event live and are interested in avoiding all of the announcements until Apple's posts the full video online can bookmark this page, where we'll post a spoiler-free link once it's up. I think this will be the best keynote in quite some time. Now it's official with the closing of the Apple Store. I also hope that, apart from the expected iPads, it is Mac computers focused. We need an indication from Apple they are still committed to Macs as a viable platform for creating content and not just consuming… some of us have decisions to make. If they don’t release a new Mac mini, that’s it! I’ll hold out one or two to ten more years, but then I’m done. Can't wait for the 6 minute summary video. If they don't release a good Macbook Air update (ie it has the new keyboard and no ports that I use) then I say GOOD BYE to Apple. Been a loyal customer for 13 years and they don't seem to understand what people want anymore, they just want to sell products that can't be upgraded and/or repaired. This really is make or break for Apple as far as Pro Audio people are concerned. If there isn't a proper pro focused desktop (not all in one) then I'm jumping ship to Windows, as are loads of other audio pros. A lot have already done so. I don't work with audio but I agree with you, Almost all my friends use Windows now and are rocking Samsung phones. Why pay fantasy prices for less hardware? Seems silly that they close the store down. I get it, its one of those tools they use to increase the excitement, but on the other hand, preventing people from buying, is kind of odd. Yes, building hype pure and simple. It is probably a legacy inherited from the early days of the Apple online store when it did indeed need to be taken offline for an update.